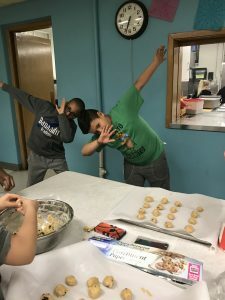 Last Thursday night we celebrated with the youth’s families and community partners the great success that the youth had in our Thursday cooking class. 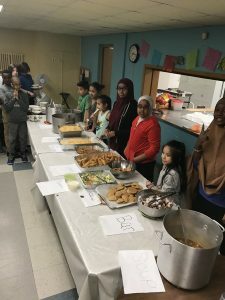 We ended our cooking winter session with lots of great food made from a family member, youth, and somali restaurant. We had lots of fun times cooking together and building relationships among ourselves. 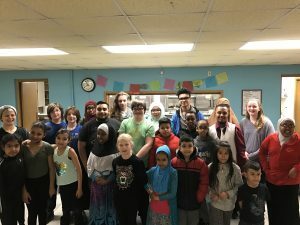 Lyndale and Whittier youth are growing more into our programs and we hope to see more youth get involved in our spring session. We had over 60 people eating great healthy meal last Thursday night. Thank you everyone for coming and supporting the youth in their great success here in Youth Farm. Previous PostPrevious The Greenhouse is the Place to Be!